By Mustaza Mustafa in General. Updated on August 6, 2016 . Dropbox was introduced as a free cloud storage system where you can keep your files on the Internet for easy access from any device, and from anywhere. It can also be used as a channel for collaborative works where you can share your folder access with selected people. But do you know that you can also use Dropbox to host a website and weblog? Sure, there are a bunch of free webhost and blog services you can use to host your weblog for free, like WordPress and Blogspot, but updating a post with these blog services may be too complicated for some. Therefore in this guide, we will show you how you can start publishing blog posts, hassle-free, by utilizing your free storage on Dropbox, with a little help from Scriptogr.am. Scriptogr.am is an online tool that converts static markdown text file into a weblog. It makes it easy for you to update a new blog entry by simply saving a new text file in your Dropbox folder. Although it is still in Beta mode, at the end of this tutorial, you may find yourself impressed with the simplicity and speed of this application. So let’s get started. First off, if you don’t already have an account, please register one to get a 2GB free storage with Dropbox. You will need an account to follow through this tutorial. When your registration is done, head over to the Scriptogr.am website and connect your Dropbox account to proceed. Note that when you try to connect, Scriptogr.am will require access to your account to create a folder from which they can access from their end. 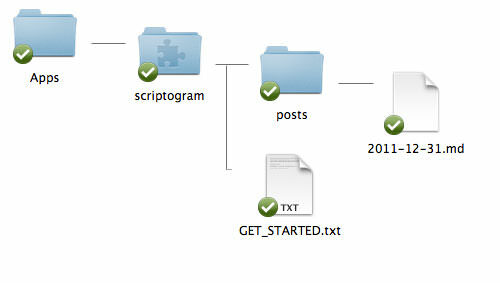 Scriptogr.am will only be able to access this folder so do not worry about the privacy of your other files in Dropbox. When access is granted, you will be prompted to fill up a simple form as shown below, just enter your desired username, full name (optional) as well as the weblog description. Click ‘Next Step’ and ‘Finish’ to complete the registration process, and then you will be redirected to your first introductory page with your own personalized domain — ‘http://scriptogr.am/username’. 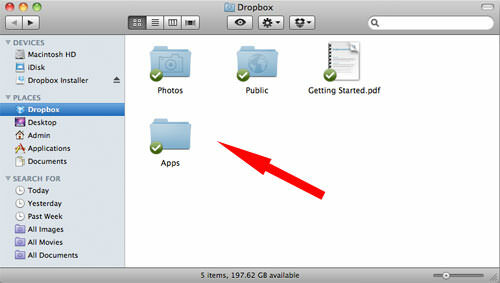 If you have the Dropbox application installed on your computer, you will be able to see an additional folder already created in your Dropbox account, as well as the dropdown as follow. Now, ‘scriptogram’ is the only folder where Scriptogr.am will have access to, and this is where you will save all your weblog data. GET_STARTED.txt contains short instructions for you to read, but it is not really crucial, since all the information has already been explained at the first introductory page earlier.